Well the theme of July has been “family vacation!” I am not at all complaining. I love my family, and I love Tyler’s too. I am very happy to be a Somers. 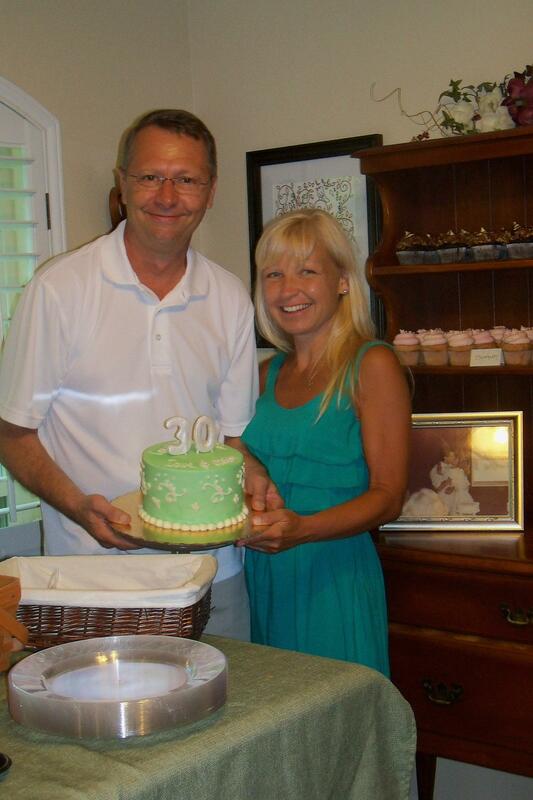 We spent a week in TX with my family to celebrate my parents’ 30th wedding anniversary. My parents decided to renew their vows this year. In addition to saying traditional vows they wrote words from their hearts to share with one another and those in attendance. I don’t think there was a dry eye in the house. I’ve only seen my dad cry once – when his dad came to know Jesus. My family is actually from western New York, so my grandpa called my dad to tell him the good news. I remember him talking on the phone to my grandpa, telling him that he loved him, hanging up, and bursting into tears. It was a beautiful moment. My grandpa died shortly after that. It is truly amazing how the Lord works in and through people. My dad cried again while reading the words he wrote for my mom. It is such a blessing to have parents who still love each other and are in love with one another. I know that their marriage hasn’t always been easy, what marriage is? But they give me hope that with the Lord all things are possible. I was able to spend time with my sister down in Texas too. 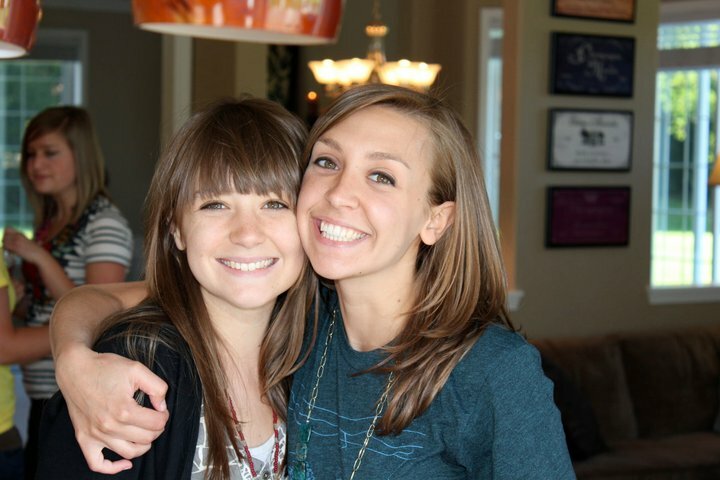 I am incredibly fortunate to have a sister who is also my best friend. We didn’t grow up fighting or stealing each other’s clothes. We had the same friends. I returned from that trip and was scheduled to leave immediately for drum major camp two days later. Karen and I had already spent two weeks apart. We couldn’t stand it. So Karen came to drum major camp too! She wasn’t even a drum major! We spent a week living in a dorm at USM in Hattiesburg, MS, conducting to recorded music during the day, and singing songs with each other at night. Karen is a natural guitar player and has a beautiful voice. Unfortunately she doesn’t really like to sing. For some reason that week she did. We even entered the talent show together and sang Blues Traveler’s “All for You.” We came in 3rd. The boy who won did an interpretive dance (with sticks!) to a Point of Grace song. It was hilarious. My sister lives in California now, so anytime I get to see her is a good time. I cried for nearly a half hour after she boarded her plane to go home. I didn’t see it coming. I just don’t think sisters are meant to live apart. Now we are finishing up our vacation with Tyler’s parents in Avalon, NJ. It has been SO fun. For those of you who aren’t familiar with the Jersey Shore, forget everything MTV has told you. Avalon is classy and beautiful. We love it so much that we were married here! The water is warm and the air is perfect this week. Last night we did experience a bit of the Jersey shore stereotype. We went to Wildwood and walked the boardwalk! I’d never been to Wildwood and Tyler’s parents are selling their beach house, so it’s likely that we won’t have the opportunity to vacation here much anymore. 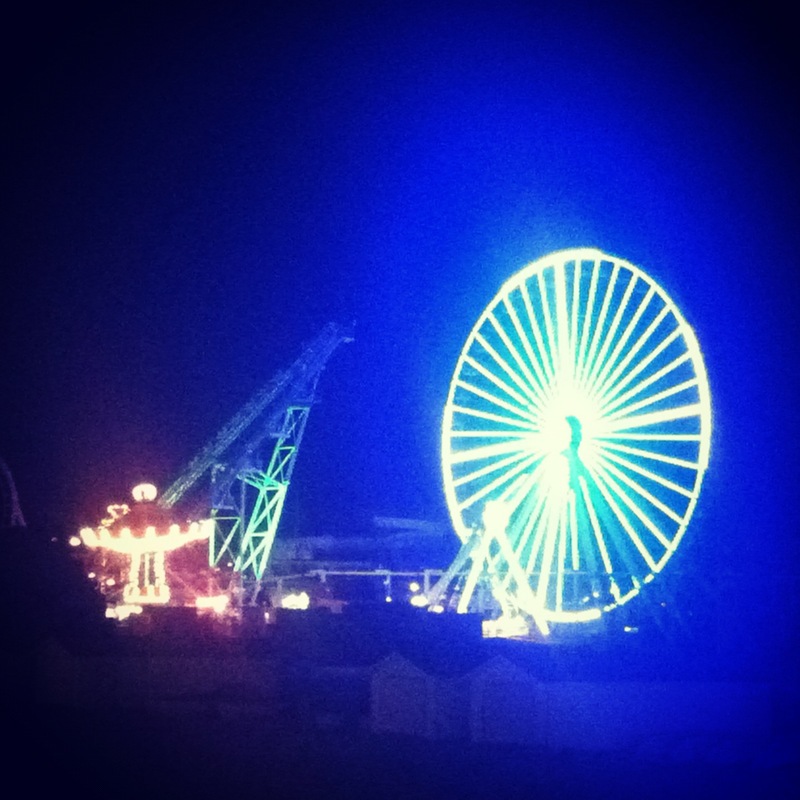 Wildwood was awesome. We got our picture taken in a photo booth and rode this incredible ferris wheel. We were stopped at the top for what felt like 5 whole minutes (it was probably 1 or 2) and I was actually really nervous. 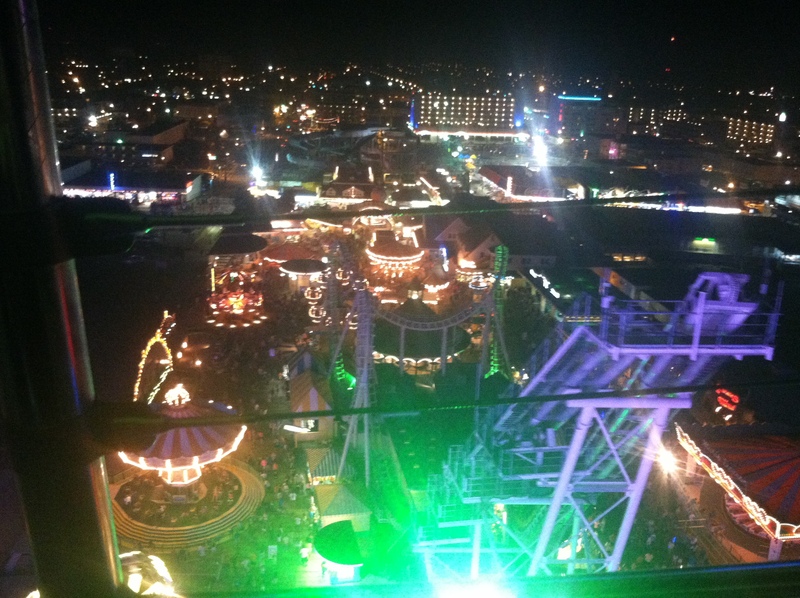 The view was beautiful. Today is our last day at the beach. Tomorrow we’re headed to Brooklyn to spend some time with Tyler’s brother, his wife, and our 3 nephews. They are ridiculously cute. I hope you are having a wonderful summer. We start playing shows again in August and are looking forward to seeing many of you out on the road. I met Tyler in August of 2004 at the University of Delaware. I was 18 and a freshman at the time. I didn’t expect to go to college and meet my husband. I wanted to, but I didn’t expect it. I certainly didn’t think it would happen a few days after moving into my dorm room. Laura Hoffmann was my roommate freshman (and sophomore) year at UD. We met when we were in 7th grade. My family was living in Dover, DE at the time and the school bus picked the kids in our neighborhood up in front of Laura’s house. Miss Maybe was our bus driver and she was about 100 years old. She used to run over curbs all the time and all of the kids would join together and yell “CURB!! !” as the bus rounded street corners. I was the new kid in 7th grade and Laura was the first girl to befriend me. She asked me to sit with her and her friends at lunch and she would call and ask me to spend the night or go to the movies. The first few times that she called I was so shy that I made up excuses for why I couldn’t come over. But Laura continued to pursue me. She was and is a true friend. Six years later, after I’d moved and spent 3 years in Mississippi, Laura and I were still friends and found ourselves living together. Laura had a friend at UD who knew of a local church that sent a bus to campus to pick students up on Sundays and take them to church. We decided to give it a try. We woke up early and walked to the bus stop. And that is when I saw Tyler for the first time. He was standing at the bus stop, talking enthusiastically to everyone. He was wearing khaki shorts and an olive green t-shirt. He even had highlights in his hair. Highlights were sort of popular then and Tyler spent his entire summer surfing in Avalon, NJ, so they were natural. Or so he says. 🙂 He was smiling all the time, and it seemed like everyone he talked to loved him. I know it sounds cheesy, but I thought he was amazing. He seemed so kind and warm, and unlike anyone I had ever met. I boarded the bus and sat behind him with my friend Joel. Before I knew it Tyler turned around and introduced himself. We talked for a few minutes and then we arrived at church and went our separate ways. The following Tuesday I went to the Baptist Student Ministry’s large group meeting. Tyler was there leading worship. As I watched him lead a group of 50 students in worship that seemed to come directly from his heart, I thought, “Now that is a man.” I’d never met anyone who so obviously reflected the love of Christ and seemed so in tune with the Spirit of God. I stood in the crowd utterly amazed. That night I told Laura that I was definitely going to date Tyler. I’d only really met him once, but I knew beyond a shadow of a doubt that I could love him and that I might love him already. I saw Tyler in the dining hall a couple of times that week. I used to hope that I would see him everyday. The first couple of times he didn’t remember my name, but in time he came to know who I was. I started helping him lead worship for BSM and soon enough we were hanging out all the time, writing songs, and playing music together. One night Tyler called and asked if I wanted to get together. I had a group meeting for my international relations class (somehow I thought I might go into politics at the time…that seems crazy now! ), so sadly, I declined. The meeting ran much shorter than I thought it would. Within 20 minutes I called him back and asked if the invitation was still good. He came and met me at the student center and we had one of the most intense, honest conversations I’ve ever had. We felt so comfortable together, and we shared from the depths of our souls that evening. Tyler told me later that after he called me the first time and I couldn’t hang out he’d been praying and asking the Lord for wisdom and discernment about our relationship. He told me that when I called back he felt like it was truly an answer to prayer. We were still just friends for a couple of months after that evening. One day I was reading on a blanket outside of my dorm. It was a gorgeous fall day. Tyler lived in a building not far away and I was hoping that he might stumble upon me. He did. He had some reading to do too, so he sat down with me. After a while he looked at me and said, “I think I like you, Jenny Appel.” I said, “I like you too.” He told me that he wanted to spend more time with me and get to know me better. I was so happy that I couldn’t concentrate on reading after that and kept reading the same pages over and over. A few weeks later we were singing together in the stairwells of the student center. The acoustics were incredible. It was nearing midnight when Tyler spoke to me honestly and openly about his past. He was ashamed at first, but my own battle wounds had brought me to a place of knowing that no sin is too big for the blood of Christ. I used to be shocked when I heard about a cheating wife or husband, or learned that someone I knew had a drug addiction. But I’d learned that sin is sin, and none of us are above committing even the worst offenses. That night I told Tyler that it was okay, and that he had been forgiven. We learned to trust each other. A few hours later we decided that we should date (we already were in a way). In hindsight I think it’s pretty crazy that we shared so deeply with each other so quickly. I don’t know that I would recommend that to someone who isn’t in a fairly committed relationship, but somehow it worked for us. We never had secrets. And when we began dating we knew that our intention was marriage. Neither one of us was looking for a casual or temporary relationship. A year later Tyler asked my dad for permission to marry me. It was a bit premature as we were still very young and didn’t intend to get engaged right away. A year after that he asked me to marry him. He knelt in a puddle (yes, that really happened) outside of the BSM house and told me that I was the one for him. Eight months later we were married on the beach in Avalon, NJ. Again, I know this is cliche, but it really was a perfect day. I have to admit that our marriage hasn’t always been easy. I had one more semester of school after we got married, so in a way it felt like we were playing house for a while. It was incredibly fun. We didn’t have any money, but it didn’t matter. Tyler worked three jobs and I had one job and class, but somehow we managed to play music 3 or 4 nights a week and felt like we were doing what we were made to do. The Lord has brought us such a long way. When we met and even when we were married I never would have imagined that we would make music for a living and travel the country. It’s a difficult road at times, but it’s ridiculously fun and life giving at the same time. I bet some of you didn’t know that our last name is Somers (pronounced like the season, “summer”). I’ve always said that if I had to trade my maiden name, Appel (pronounced like the fruit, “apple”) then Somers is an adequate alternative. Just recently we found out something pretty awesome about my last name. Avalon, the town where we were married, is named for an island referenced in the tales of King Arthur and means, “isle of apples.” It almost feels like our worlds collided long before we ever met. I feel at home in Avalon with Tyler’s family. 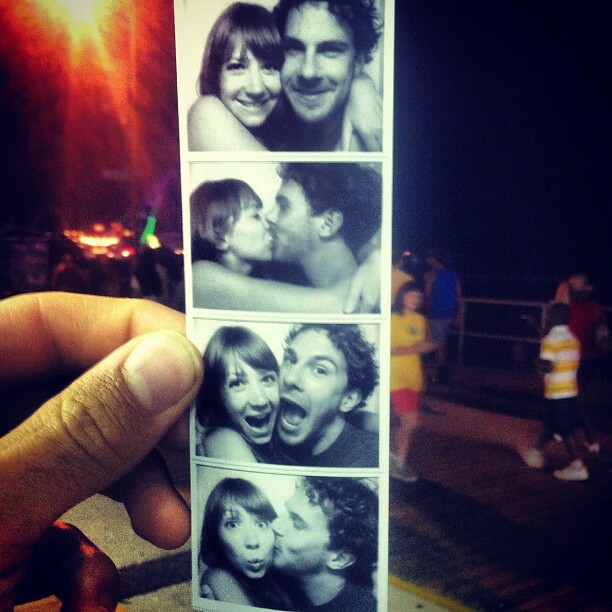 This has been a very abbreviated version of how we became Tyler and Jenny: The Somers. I was the new kid a lot growing up. My dad was a pilot in the Air Force for 24 years. He retired a couple of years ago and makes guitars and mandolins now. Quite the change, I know. Due to his job we moved about every 3 years. I was born in NY state, moved to Ohio, Japan, Delaware, Illinois, Delaware again, Mississippi, and ended up in Maryland while attending the University of Delaware. It was a different sort of life, but I’m thankful for it. I had the opportunity to experience the distinctly different cultures of the mid-west, deep south, east coast, and even Japan. Most people don’t get to do that. I was a bashful kid. I won the senior superlative for “frendliest” down in MS and I have no idea how that happened. You might think that being the new kid would get easier after you do it a couple of times, but that’s not the case. It never gets easier. I think that part of the reason it feels so hard is because deep down I have a desperate need for people to like me. In third grade I spent recess reading novels (I LOVED the Redwall series. Anyone else?) and didn’t have many friends. In fifth grade I met Meghan Benear and things began to change. “We’re all going to see I Know What You Did Last Summer, you should come.” Meghan said. We were eleven. Meghan’s parents didn’t seem to care about what sort of movies she went to, but mine did and I knew they wouldn’t let me go to a rated R movie with my friends. “Well then don’t tell her,” Meghan reasoned. “I really can’t do that, Meghan,” I insisted. In addition to knowing that I couldn’t lie to my parents I really didn’t want to see the movie. I scare easily, but my middle-school self didn’t want to admit that to Meghan. “Gosh Jenny, you’re such a baby. I don’t know why I even hang out with you,” Meghan slammed the phone. I felt hurt and alone again. But as with most adolescent friendships things were better the next day. Later that year Meghan called for a different reason. “If you could choose between three ice cream flavors: vanilla, chocolate, and chocolate chip, which would you pick?” Meghan asked. “Chocolate,” I replied. I thought it was a funny question because we weren’t going to eat ice cream. I also realized that anyone who knew me knew that I have a deep love for chocolate. “See ya tomorrow,” Meghan said and hung up the phone. Friday night I went to Meghan’s and found her and our other friend Caitie waiting with a birthday cake and balloons. “Surprise!! !” They shouted. I huge grin came across my face. The like me, they really like me, I thought. I felt so much value in that moment. I was so happy. Later that night we laid our sleeping bags out on Meghan’s living room floor and cozied up to watch a movie together. Meghan and Caitie wanted to watch Striking Distance, a movie starring Bruce Willis. It was rated R. I told them I didn’t want to see it, but they insisted. Before I knew it the screen was filled with dead bodies and a river, and a creepy song about Red Riding Hood was coming through the TV speakers. I was horrified and left the room. Meghan and Caitie didn’t seem to care. Isn’t this MY party? I thought. And in that moment I knew that they didn’t really care about me that much. They weren’t real friends. I think that most people will let you down at some point or another. That’s why living for and putting my hope in people is futile and ultimately disappointing. It’s also exhausting. Caring about what people think takes a lot of time and effort. I think that wanting to live for people instead of the Lord is still one of my biggest struggles. I think that comes, in part, from living such a performance based life – which I think most of us do in different ways. I get so focused on what I’m doing that I forget who I am – a daughter of the King. When I find my identity in Him I can rest there, and those thoughts of what people think of me begin to fade.